Bowhouse Market, St Monans- 8th and 9th December: An atmospheric market to warm the cockles! Step inside the spacious barn and discover a festive celebration of the very best food and drink from Fife and beyond. Experience sizzling, aromatic street food, toe-tapping music and take away local, fresh produce to enjoy at home! The Night Market at Balgove Larder - 11th December: Close to St Andrews, this market - inside the characterful steak barn - will showcase seafood, cheese, charcuterie, chocolates, shortbread, Christmas cakes, whisky, craft spirits and beer, cuts from their own traditional butchery, vegetables from the fields and all the trimmings! Oh, there will be carol singing, food trucks and mulled wine too! Rhynd Farm Christmas Market - 15th December: Close to Tentsmuir Beach, the magical event space at The Rhynd provides the backdrop to a market celebrating the finest local crafters. If you’re seeking old-fashioned Christmas magic, this is the perfect setting. 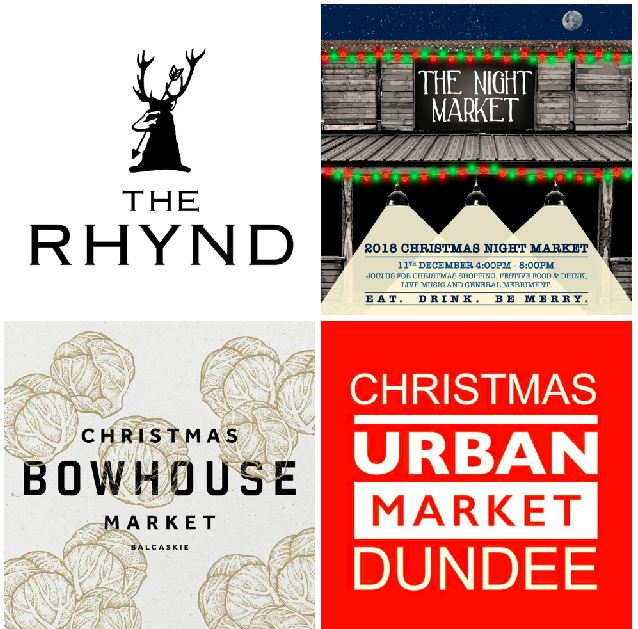 Urban Market Dundee - 15th and 16th December: Do Christmas shopping differently at this free, indoor market, a showcase of Scotland’s coolest designers and makers - in the urban heart of Dundee. Looking for cutting-edge Christmas gifts? This is the place to be! It’s dog friendly and there are children’s activities and workshops too! We’ll be at each event with our luxurious chocolates and hot chocolates. Handmade in #Pittenweem, our collection is a treasure trove of temptation! Choose an artisan gift for your favourite chocolate lover - and enjoy a decadent, warming hot chocolate while you wander! Remember, you can also pick up gifts and treats from our online shop or in our village shop and cafe on the high street in Pittenweem!